Q: I have just inherited a home with my brother and sister valued at about $450,000. I was thinking of buying them out and selling the home in 7 years when hopefully it will be worth more. I would have to get a mortgage and rent the property to my daughter. Do you think this is a good idea or would my capital gains tax take away any advantage? I would hope to sell the property at about $530,000. A: I assume that your brother and sister aren’t interested in the house themselves, Kathy. If not, it makes it easy if you take it off their hands. I’d be inclined to have a market value assessment done by a realtor and assuming you all agree, use that as the selling price. However, I’d also be inclined to deduct a notional real estate commission from that price–whatever is normal and customary as far as a percentage where you live. The three of you would have to pay it otherwise for your brother and sister to get their share and you will pay it eventually when you sell. You can typically finance a rental property with a mortgage of up to 80% of the value and given that you are purchasing 2/3 of this property, you should be okay. Because you are using the mortgage proceeds to effectively buy 2/3 of the property, the interest will be tax-deductible if you operate the property as a genuine rental property. In order to ensure tax deductibility of the interest on your mortgage as well as your ongoing property tax, home insurance and other costs, if you’re renting the property to your daughter, you need to operate it as if she were arm’s length. In other words, you need to charge fair market rent to her and report this income on your tax return each year, Kathy. It’s likely that the rental expenses will offset much of the income earned so that the net income inclusion is low or negative. You can even claim depreciation (called capital cost allowance) to bring your net rental income down to zero (but not to create a loss). The good thing about renting to your daughter is that you know you’ve got a good tenant. Your plan to sell the property in 7 years for an 18% gain is a good one in theory. In practice, the property might be worth $530,000 in 1 year or in 20 years depending on how the real estate market progresses. I would be less inclined to set specific valuation targets and more inclined to base the investment on other options available, your timing for needing the capital for your own retirement and so on, Kathy. If your daughter is going to live there for the long term, it might not be a bad idea to consider talking to her about eventually buying the property from you at some point in the future. 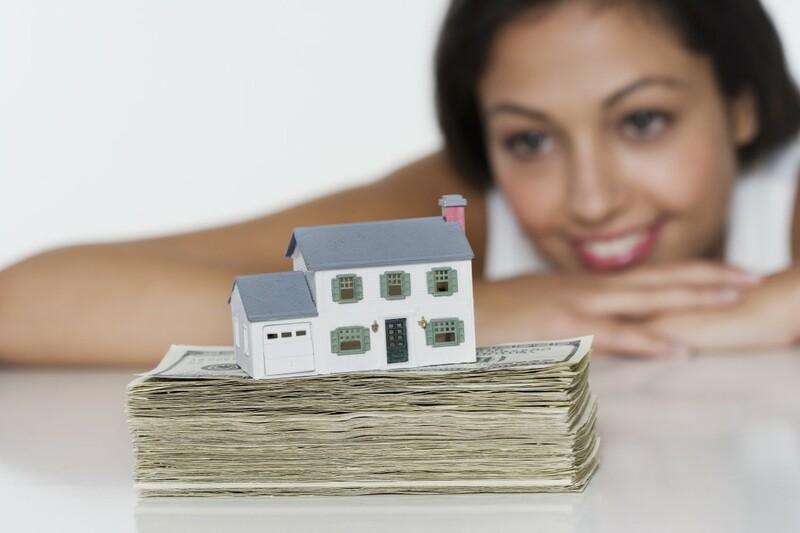 You can even consider providing a portion of the mortgage to her given you will have equity in the property. This depends on your respective financial situations and goals. The capital gains tax is a small consideration in the grand scheme of things, Kathy. If you’re comparing to the tax hit on investing in stocks, ETFs or mutual funds, a capital gain is a capital gain. At least if you’d otherwise be investing outside of your RRSP or TFSA in a taxable account. One-half of a capital gain is taxable in the year that it is realized and is added to your other sources of income. As an example, if you live in Alberta and have $50,000 of income in the year of sale, $40,000 of additional income would cost you about $12,824 of additional income tax for the year. That’s 16% tax on the $80,000 capital gain. If you make improvements like renovations to the property, these will reduce your capital gain. As will your initial acquisition costs like land transfer tax and legal fees and the eventual sale costs like real estate commission. If you claim depreciation (capital cost allowance) while you’re renting the property, this gets “recaptured” and added to your income in the year of sale. Although it’s not specifically taxable as a capital gain, this is a potential tax cost that arises on selling a rental property. Over the long run, stocks tend to outperform real estate–at least at first glance. Even in red-hot Toronto, annual real estate growth for the past 30 years has been only 5.65%. Compare this to the annualized returns of the Toronto Stock Exchange (8.97%) or the S&P 500 (10.84% in Canadian dollars), though investment fees or a less than 100% stock allocation no doubt mute these returns. One of the ways that real estate can be a better investment than stocks is the rental income (dividend, if you will) if it more than covers your non-mortgage carrying costs, but also the fact that people are inclined to leverage real estate. In other words, you’re contemplating borrowing $300,000 from a bank to buy this property. So you’re only investing $150,000 but getting the capital appreciation on $450,000 of value, which can enhance your overall return. My guess is you wouldn’t be inclined to borrow $300,000 from the bank to invest in stocks. I think this plan could be a good one, especially if you’re a conservative investor who would not otherwise invest the money aggressively. Try to base the eventual sale plans on what works best for you and your daughter and reconsider annually, rather than setting notional target values and dates that won’t likely materialize exactly the way you’re hoping.